I've had the photo for this one for a while. I took it in Eugene, OR, a few blocks down from my son's school. 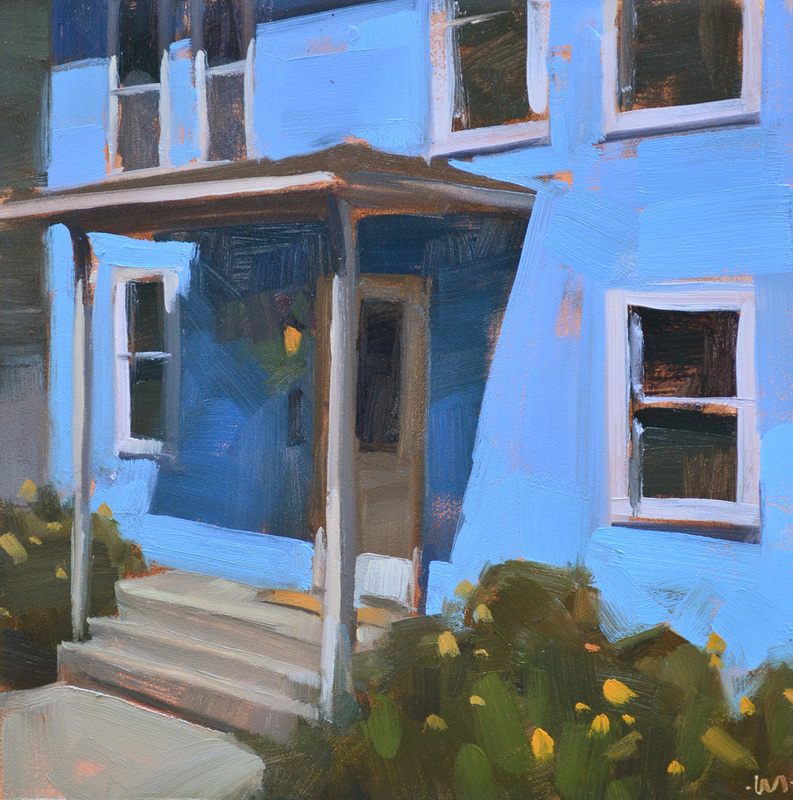 I pass by this house often and (when the sun shines) am always enchanted by the slant of the porch shadow and the shades of blue and more blue. 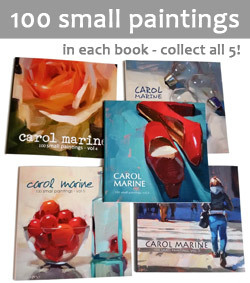 Utterly gorgeous painting Carol - love the bits of orange underpainting poking through and crisp brushstrokes.